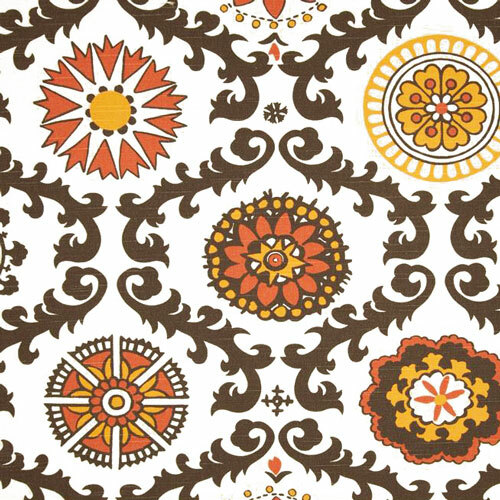 Contemporary southwestern floral design in orange, chocolate brown and gold on a white background. Suitable for drapery, decorative pillow covers, headboards, crafting or other home decorating projects. Large scale print. 100% Cotton Slub 6.4 oz.